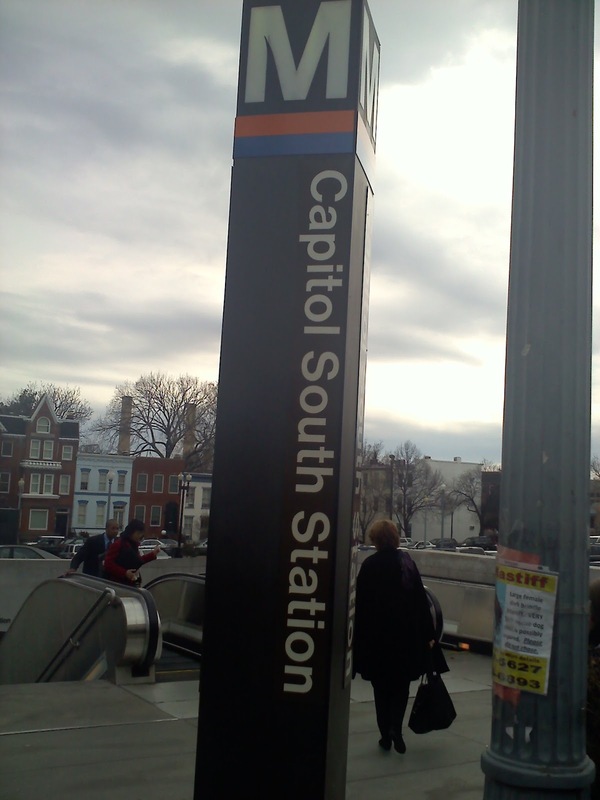 Texting My Pancreas: DOC in DC, Part Three: Planes, Trains and Shuttle Buses. 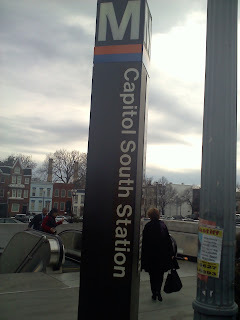 DOC in DC, Part Three: Planes, Trains and Shuttle Buses. Airports are an unending source of stories - and so is the Metro. Hadn't had any of this yet. We already know the tale of The Girl Who Doesn't Like Airport Security. She also happens to also be The Girl Who Especially Doesn't Like Airport Security At 5:30 In The Morning, and yet all of this was in play at the time of our story. Making it to the airport in plenty of time, The Girl checked her suitcase and headed upstairs to the tiny airport's TSA screening areas: one to the left, one on the right. Because the one to her left was completely deserted, she headed to the right, following all of the other people. She did the whole hurry-up-and-take-shoes-off-OH-GOD-OH-GOD-I'M-NOT-GOING-FAST-ENOUGH dance, got all of her things situated into four bins, and started sliding them down the conveyor belt. When she reached the TSA agent, she handed him her boarding pass. He eyed it for a few seconds, grimaced, then spoke. "Ma'am, this line is for the United gates. You have to go to the other side for the Delta gates." She looked behind her at the tumbleweeds blowing by the other security checkpoint, and came back at him with an incredulous expression. "Over there? Um... there's no one over there. That line is closed. That's why I came over here. Aren't the gates connected once you get past security?" "Nope, they're not. Don't worry; someone will be over there soon." Embarrassed and shoeless, The Girl hastily slipped her shoes back on, gathered her things awkwardly into her arms, and waddled over to the other side of the airport. After several minutes of waiting for the checkpoint to be fully staffed, she made it up to the front of the line. As she's done so many times before, she disconnected her insulin pump and shoved it into the ziplock bag with her glucose meter and vacation loaner pump, and handed the bag to the TSA agent. "Hi! This bag has diabetes equipment in it that cannot go through x-ray, so I'd like for them to be hand-checked, please." This should be an easy request, she hoped. "Aaah, what's in here? Is this an insulin pump?" The Agent looked through the bag and shuffled its contents. The Agent gave her a suspicious look. "You know this is just a metal detector, right? It's not an x-ray." "That's fine - I'd still like to have them hand-checked." The Agent started to dig his heels, albeit politely. "You know, we get hundreds of insulin pumps through here, and people always just go through the detector with them." This back-and-forth went on for another minute or so. The Girl knew how to dig her heels, too, and wasn't willing to take a chance at sacrificing thousands of dollars of equipment. A few more polite disagreements were exchanged, until they reached a standstill. The Agent finally said, "You know, I'll go ahead and hand-check these this time, but in the future, this might be an issue for someone. (Editor's comment: because that whole conversation we just had doesn't qualify as "an issue"??) When you're telling me that this is a life-sustaining medical device that you have to wear, but then you're taking it off - that raises some red flags, you know?" Oh, I'll raise a red flag for you. The Girl fought the urge to roll her eyes, and smiled instead. "I understand. Though I've been through several other airports a lot larger than this one, and never had this issue before, I understand your concern. I appreciate you hand-checking it for me." After that ordeal was through, The Girl gathered and repacked her things, headed to her gate, and took a seat. After a few minutes, a group followed suit and sat in the row behind her. The Girl caught eyes with one of the ladies, and the lady immediately piped up, "What was his deal?? You have diabetes, right?" The Girl and the lady had a nice chat about how ridiculous that was, and how neither of them had ever seen a PWD hassled like that in an airport about an insulin pump. The lady relayed that her husband has type 2, and asked about The Girl's insulin pump. The Girl couldn't help but gush a little bit that she was headed to D.C. that morning to do some diabetes advocating. She wouldn't let a TSA agent ruin this trip, or begrudge him for causing this spontaneous diabetes conversation between strangers. The Girl was rather enjoying this particular side effect of the situation. The Girl's flight out of D.C. was a much different experience. Joined by her buddies Cherise and Allison, and her rockin' Blunt Lancet bandmate Kelly Rawsugar, The Girl stood in line for security again. They noticed that this airport had not only a metal detector, but one of the full-body scanners, and got excited. The four friends mused, Wouldn't it be cool if we ALL got patdowns? We could all write about it! We could even use a hashtag about it - #patdownsolidarity! Sadly, this was not their fate. Kelly and Allison were waved through to the metal detector (and passed with flying colors), while Cherise's OmniPod caught the attention of the TSA Agent. While Cherise was sent to meet the full-body scanner, The Girl told the agent about how she can't go through the scanner with her robot parts (by this time, the agent looked a little bewildered by having four people in a row with insulin pumps). She asked for a patdown instead, and the agent called out, "FEMALE CHECK NEEDED!" The Girl could see her friends on the other side of the checkpoint, grinning from ear to ear about what was about to go down. They yelled, "We'll grab your stuff!!! ", and The Girl couldn't help but laugh to herself a bit over how cute that was. And so, the patdown happened - no "private screening" for this girl! The agent was very nice about the whole thing; telling The Girl exactly what she was going to do and how (using the backs of her hands). After a couple of minutes, it was through. The agent wrapped up the screening by asking The Girl to touch her insulin pump with both hands, then stick them out for the agent to swab and check. That was it! All done! The Girl was surprised at how... tolerable that was. She even said to the agent, when turning to leave, "Thank you for making that as unweird as possible. Really, that wasn't so bad!" The car had grown empty, but the two women hadn't noticed. Their excited chatter filled the space until one started looking around. This scenery wasn't familiar, and she started to panic. "Wait... wait. ", the one with the long hair said. "Did we pass over an industrial area last time?" The one with the curly hair jumped up and looked through the window to the train tracks and warehouses below. "Oh no... I think we talked right through our stop." Already running late because of the previous shuttle bus, the two friends leapt up to look at a map. They were lucky to be misplaced by three stops, and not lost. Great travel recap, Kim. Good read. Somehow, I am in awe that the airports and mass transportation systems didn't collapse in the presence of the DOC. Simply amazing. It should also be pointed out that it's possible to completely erase the monetary value of your Metro card by placing it in the same pocket as your phone. Lots of people I was with that weekend had trouble with their Metro cards and that could be the reason! Kim, you are not alone with the TSA hand checking thing. Sorry this will be a long story. In college I had the opportunity to go on many trips to Europe with a class. Once i got diagnosed with Diabetes, i got really worried, what if something happens to my insulin, meter, etc... since my professor never has a diabetic with them. Well, i was instructed by my endocrinologist that multiple scans of my meter and strips would not be good for them, as we probably would go through at least 5-6 scanners a day, between airport terminals, bus terminals, and museum security. Well, i had a paper, the whole works protecting me that says i am to have this all hand checked. I made sure that i knew how to ask all of these questions in whatever country I was going to be in to help this. Well, almost every time i got stopped i truly got hassled. Probably 3/4 of the time they would be fine and I thanked them for allowing it to be hand checked. the 1/4 not so much. I brought tons of extra strips, and good thing i did. I found out that whatever my strips have in them, and together must react and had containers of strips error on my meter when i checked them. I remember on one trip, i lost 11 bottles of 50 strips. It was horrible. The last trip, we had to go through something like 3-4 security stops and each time in this airport they didn't care and put it through. I was leaving to go home on my last bottle of strips and only remember I was more than half way through how many i had, i cried this last time when they didn't care, they just disregarded what i told them, they didn't care I was so upset after trying to explain I am out of supplies because of them going bad. They didn't care. Guess what happened to that last few strips on the way home on the flight, in travels back home and for the few days of being at my parents before driving back to school... NO STRIPS. It was horrible. I wasted hundreds of dollars as this point and realize having to fly and not being respected when it comes to multiple scans of our supplies hurts. However, since then I haven't gone through more than 2 in one day and have never had problems. Hope this never happens to you. BTW- Thanks for the multiple updates on your trip!! !